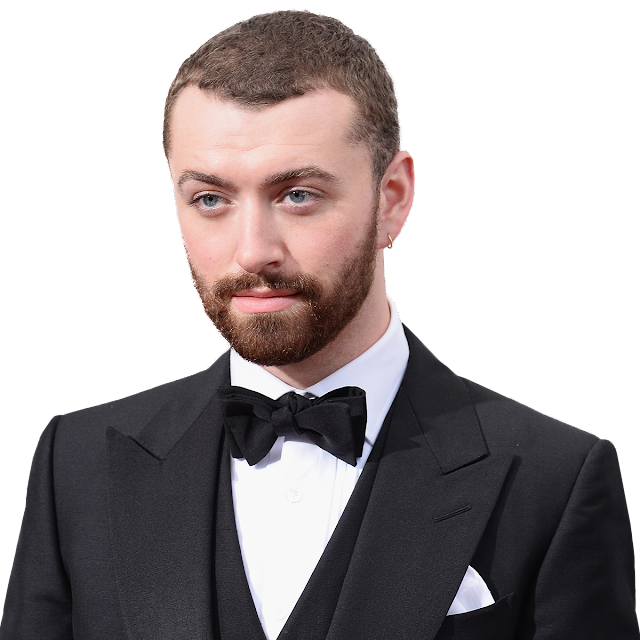 Sam Smith was born today, May 19, in 1992. He is a singer-songwriter that rose to fame in October 2012 when he was featured on Disclosure's breakthrough single "Latch," which peaked at number 11 on the UK Singles Chart. His subsequent feature—on Naughty Boy's "La La La"—earned him his first number one single in May 2013. In December 2013, he was nominated for the 2014 Brit Critics' Choice Award and the BBC's Sound of 2014 poll, both of which he won. 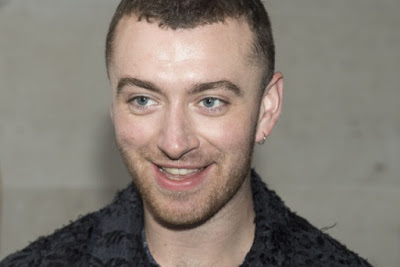 He released his debut studio album, In the Lonely Hour, in May 2014. The lead single, "Lay Me Down," was released prior to "La La La." The second single, "Money on My Mind," became his second number one single in the UK. The album's third single, "Stay with Me," was an international success, reaching number one in the UK and number two on the US Billboard Hot 100, while the fourth single "I'm Not the Only One" reached the top five in both countries. The fifth single, "Like I Can," reached number nine in the United Kingdom. He made his United States debut on Late Night with Jimmy Fallon, followed by a performance on Saturday Night Live in March 2014. In December 2014, Smith was nominated for six Grammy Awards, and at the 57th Annual Grammy Awards in February 2015 he won four: Best New Artist, "Stay with Me" for Record of the Year and Song of the Year, and In the Lonely Hour for Best Pop Vocal Album. At the 2015 Brit Awards, he won the awards for British Breakthrough Act and Global Success. At the 2015 Billboard Music Awards, Smith received three Billboard Awards: Top Male Artist, Top New Artist, and Top Radio Songs Artist. For his and Jimmy Napes' song "Writing's on the Wall," the theme for the James Bond film Spectre (2015), Smith won the Golden Globe Award and the Academy Award for Best Original Song. 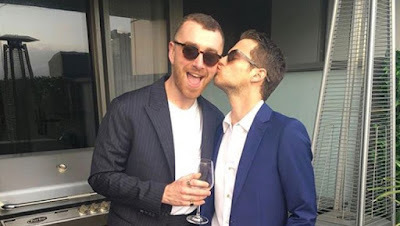 His second studio album, The Thrill of It All, was released in November 2017, and debuted atop the UK Albums Chart and the US Billboard 200. The lead single, "Too Good at Goodbyes," reached number one in the UK and Australia and number four in the US. "It's all I listened to. I actually didn't listen to male vocalists until about two years ago. I just listened to Whitney Houston, Chaka Khan. Massive voices." In May 2014, Smith came out to the public as gay. He acknowledged a relationship—since ended—with actor and model Jonathan Zeizel. At the 57th Annual Grammy Awards when "Stay with Me" won an award for Record of the Year he said, "I want to thank the man who this record is about, who I fell in love with last year. Thank you so much for breaking my heart because you got me four Grammys!" In 2017, he stated his latest album, The Thrill of It All, showed "the gay guy I’ve become." Since September 2017, Smith said in an interview on The Ellen DeGeneres Show that he was in a relationship. Celebrity tabloid media reports have stated Smith is dating actor Brandon Flynn (at right with Smith). In October 2017, in an interview with The Sunday Times, Smith came out as being a gender queer man, stating "I don't know what the title would be, but I feel as much woman as I am man." He also elaborated saying that he never classed himself as being a typical man, or cisgender, and even opened up about his past, saying "People don’t know this, but when I was 17, I remember becoming obsessed with Boy George and Marilyn Monroe, and all that. There was one moment in my life where I didn’t own a piece of male clothing, really. I would wear full make-up every day in school, eyelashes, leggings with Dr. Martens and huge fur coats, for 2 and a half years." Have to say that, when bearded, this Smith chappie is quite the hottie. And his singing isn't bad either, a darned sight more tolerable than the vast majority of these silly 'here today, gone tomorrow' discoveries who couldn't sing there way out of a paper bag - an open one! The bearded picture makes me think a little of a young George Michael. This guy can sing!